Including all assets and liabilities valuation, P&L allocation, specific allocation including share class hedging. We offer clients independent, impartial valuations from an experienced team who expressly contract to be accountable. Responsible for calculating and execution of payments. Corporate action processing and verification. We enable our clients to achieve operational efficiencies by outsourcing time consuming and costly middle office processes to us. All performance and management fee methodologies are supported in a fully automated process. We deliver accurate and timely reports to all stakeholders, which are developed based on client requirements. Tax assistance for US, UK and German tax support. Centaur signs up to more demanding contract terms than any of its competitors and accepts responsibility for fund valuations. We maintain books and records in accordance with relevant Accounting Standards and prepare and deliver timely financial statements. Centaur is regulated under the Investment Intermediaries Act in Ireland and is in full compliance with all regulatory requirements. We manage every aspect of the fund administration process from trading activity and daily reporting to annual audited financial statements and tax assistance. Our goal with all clients is firstly to understand their specific administration requirements. We employ our market experience and superior technology to create a bespoke solution for each client. We deliver accurate and timely valuations that are independently calculated on a daily basis. Daily reconciliations of trades, positions and cash with external counterparties. Daily corporate actions processing and reconciliations. Expense and complex fee calculations. Centaur provides extensive reporting to clients based on their specific needs. From currency exposure to performance contribution reporting and customised data extracts, we work closely with all our clients to provide them with specific solutions. We obtain independent pricing from multiple sources and maintain the accounting records of a fund on an independent basis. We act as External Valuer for our clients. Independently source prices and exchange rates. 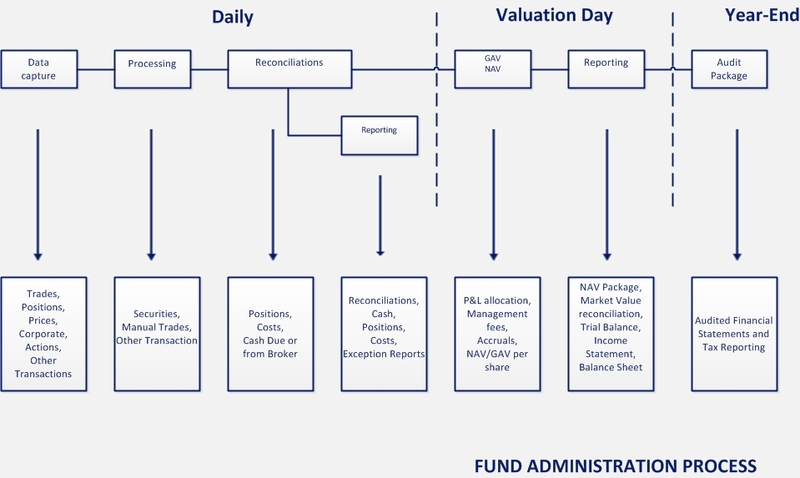 Creation and execution of fund’s valuation policy. FIS InvestOne – the leading fund servicing platform with complete coverage of fund structures, financial instruments and transaction types. Interfaces with all leading prime brokers and pricing vendors allowing automated data capture and processing.